LifeBeam, a wearable health sensor and fitness device maker, has raised $20 million from Joy Ventures, Square Peg Capital, New Era Ventures, Cerca Partners, Triventures, Wellborn Ventures, and FGI Capital Partners to expand its business, VentureBeat reports. 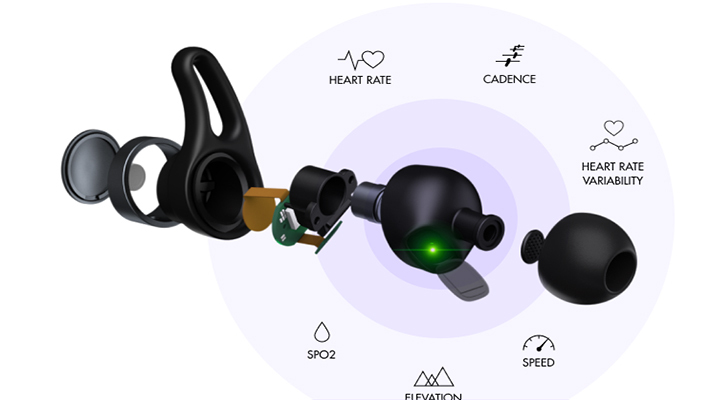 The company is best known for Vi, a set of connected headphones that include an AI fitness coach. Along with acting as a fitness tracker via internal biometric sensors, the device will speak to the wearer to encourage them throughout the workout by guiding pace, counting workout intervals, and celebrating milestones. Other features include Spotify and Apple Music integration that allows the AI to play music matching recommended workout pace, and a companion app to help users track their progress. The headphones were originally backed by a crowdfunding campaign that closed after raising $1.68 million on Kickstarter, the highest amount raised on the platform by a fitness wearable at the time. Other previous products from the wearables company include the biorhythm-measuring LifeBeam Hat and the LifeBeam Smart Helmet, which was also crowdfunded in 2013 by consumers looking for more sensors in their protective headgear. LifeBeam was founded in 2011, and initially developed wearable biosensing technologies for the aerospace domain, including NASA and the US Air Force. The company then started to make sensors for other companies to embed in their wearable devices. Some of LifeBeam’s corporate customers include Samsung and Under Armour. This week’s funding news comes two years after LifeBeam’s $16 million funding round, and brings its total backing to roughly $40 million.